Mobile marketing is becoming an increasingly important part of business. Consumers are going online via their smartphones and tablets, and companies must optimize their advertisements for these devices. Quick Response (QR) codes are digital watermarks that owners can print on almost any marketing tool to direct customers to web content. QR codes are becoming increasingly popular. Biz Report recently wrote that Nellymoser, a company that developed a code-reading app, found that the response rate for QR codes was somewhere between 4.5 percent and 5.9 percent. The company also said that consumers spent over 10 minutes viewing multiple web pages after scanning the watermarks. 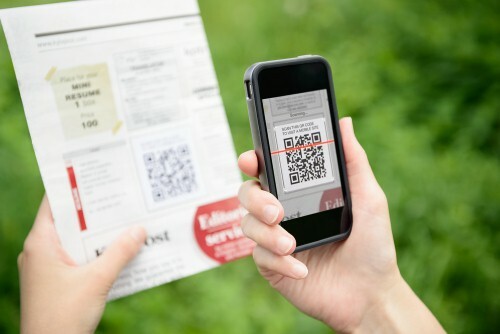 Small business owners can easily include QR codes on their marketing materials. The scannable images can be printed on mailers and promotional items to direct consumers to digital content. Many small business owners send promotional holiday cards during December. Postcards can be the perfect way to use QR codes. Small Business Computing writes that companies should put codes in places where it’s convenient for consumers to use their mobile devices. Mail recipients can scan the watermarks while they are sorting through their letters, which can help businesses earn high response rates. You can choose where you want your QR codes to lead your customers. For the holidays, you may want to send recipients to landing pages about your sales and promotions. Alternatively, the watermarks could act as gateways to your social media pages. Ensure that the sites you’re using have been optimized for mobile browsers so consumers can easily navigate to multiple pages and find new content on your website. Consider giving customized content to your customers. For example, if you’re sending personalized Christmas cards, you can include QR codes that offer promotions tailored to individual clients. You can offer digital coupons on their favorite products or send vouchers to show your appreciation for their continued patronage. You can emblazon QR codes on your branded items. The watermarks can be placed alongside your logos so that your customers develop brand recognition while they’re being directed to your web content. Promotional magnets and wall calendars may be the best two products to use with your QR codes. One of the challenges with mobile marketing is ensuring that your customers have a reliable internet connection or phone signal. Magnets and calendars can help you clear this logistical hurdle, as most consumers have reliable service in their homes. Be creative with QR codes. Consider printing a different watermark on every calendar page that gives consumers new coupons. Customers can scan the codes every month and may come to your business to receive their discounts. Magnets can be a bit more difficult to use effectively, as you can’t add multiple images. Think about your goals before finalizing your mobile marketing strategy and then create strategies that your magnets can support. For example, if you want more traffic in your web store, direct customers to online-exclusive promotions. Small Business Computing recommends adding your logo to the center of your QR codes. The news source notes that images can be added to the code with basic image-editing software like Photoshop. Ask one of your tech-savvy employees to brand your digital watermarks or learn how to use a photo application so you can create multiple QR codes down the road. Mobile devices are the wave of the future, and QR codes can help you stay on the cutting edge technology. Scannable images on your promotional items and direct mailers make it easy to capitalize on the popularity of mobile technology and can give you a greater digital marketing presence.